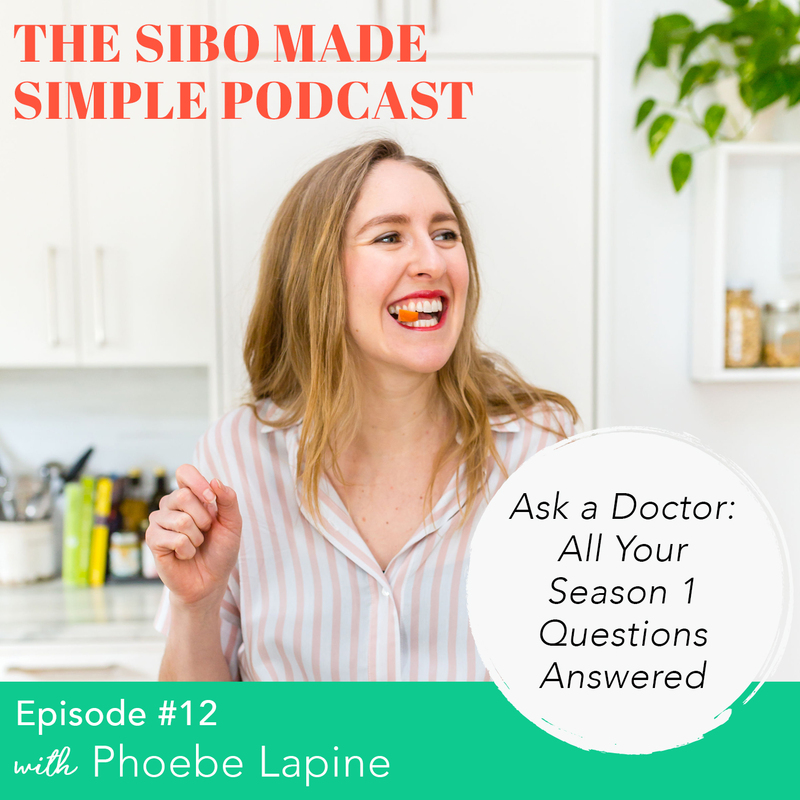 We’ve covered a lot of ground on this season of SIBO Made Simple, and along the way we’ve received some amazing listener questions. In today’s episode, past practitioners come back to answer them all. Dr. Allison Siebecker tackles some of the nuances of SIBO treatment, Dr. Jason Wysocki chimes in on structural and thyroid-related queries, Dr. Will Cole talks about experimental treatments like FMT, and Kate Scarlata clears up some diet confusion. If you don’t hear your question, don’t stress—there’s a big possibility I’ll be getting to it with a dedicated episode in season 2. Make sure to listen to the end of this week’s podcast for a sneak peak of the topics we’ll be covering later this spring when SIBO Made Simple comes back from hiatus! And finally, don’t miss my recap of the SIBO Symposium in Portland, and a special announcement about a FREE program I’m offering April 1st: The Spring Gut Reset. Do you take the herbs on an empty stomach or with meals? The correlation between SIBO and other hidden infections like mold, candida, and heavy metals? If you’re prone to food poisoning, should you eat like a pregnant person? Hashimoto’s and SIBO – where do you start your treatment plan? The Spring Gut Reset – Click here to join my FREE program! This episode is brought to you by The Spring Gut Reset. On April 1st, I’m offering a FREE online program to give your digestive system the spring break it deserves. While the podcast is on hiatus, this 5-day boot camp will give us the opportunity to institute the best practices we’ve learned on this show, build more community, and share in some delicious virtual meals together. Regardless of what’s going on down under—SIBO, IBS, or any manner of tummy wonkiness—this program is designed to meet you where you’re at. Click here to read more and sign-up for free! Disclaimer: The information in this podcast does not provide medical advice, professional diagnosis, opinion, or treatment. The information discussed is for educational purposes only and is not a substitute for medical or professional care.